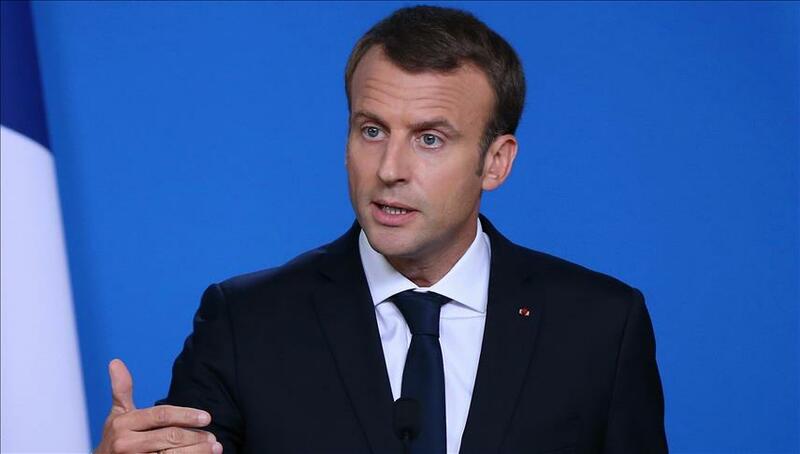 French President Emmanuel Macron has called out the U.S, Israel and Saudi Arabia government for its conspiracy to turn the world against Iran, and trying to lead the country to war while at it. The recent protests in Iran have caused more than 50 people death and several others injured after clashes with security forces and the protesters. The US government leader, Donald Trump has supported the protest in Iran from day 1, writing via Twitter that "Big protests in Iran. The people are finally getting wise as to how their money and wealth is being stolen and squandered on terrorism. Looks like they will not take it any longer. The USA is watching very closely for human rights violations!" Macron while speaking to Reuters said the "The official line pursued by the United States, Israel and Saudi Arabia, who are our allies in many ways, is almost one that would lead us to war. He then added " It was a deliberate strategy for some"
Donald Trump before assuming office has been against the Obama path in negotiating peace with Iran. One of Obama's legacy with Iran was to make sure that Iran does not have any nuclear weapon, and with other countries created the Iran's nuclear deal, something Trump has decertified, and has also pointed fingers to the Tehran government that it support terrorism in the Middle-East, and would also increase sanctions on Iran. Trump also included Iran in his travel ban also. Israel on the other end has seen Trump new foreign policy has a welcome development. Benjamin Netanyahu government has opposed to the Iran nuclear deal of President Obama. Iran as a country has supported the Palestianian (Hamas) and Lebanese groups that have been staunchly haters of the state of Israel. Even has forces supported by Iran has won the battle against rebels and JIhadist trying to take control of Syria, Israel has said it does not like Iran presence in the neighbouring country. Israel has now called for assistance with another U.S ally, Saudi Arabia, despite Saudi Arabia not fully recognizing the Jewish states. Israel is trying to bank on the phrase, the enemy of my enemy is my friend, to help fight the Iranian government, even though both Saudi Arabia and Iran are both Muslim nations, their differences in ideology has allow a long term hate between the two nations. The French President is now calling for dialogue between the countries, "Otherwise, we will end up surreptitiously rebuilding an 'axis of evil'." Macron also said that pressure could be applied to Iran, but dialogue should never be off the table.